Black Executive Document Holder 350-RVN-BK with Full Zipper Closure on three (3) sides is built of heavy vinyl construction. Its center lining, and reinforced seam binding adds up to its years of service. 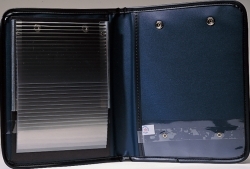 This holder also includes a 20-unit flip-file (insert available separately below), plus room for another insert. 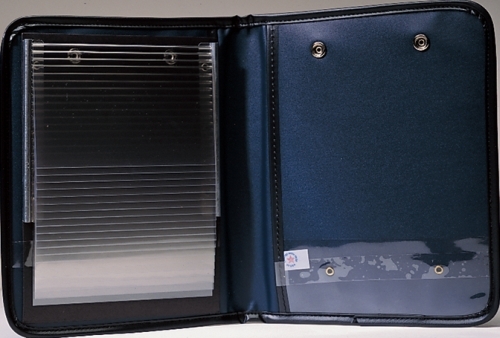 19-R is a 20-unit flip-file insert available separately.